Transatlantic cruises from Europe to the USA are traditional journeys that are not like other cruises. 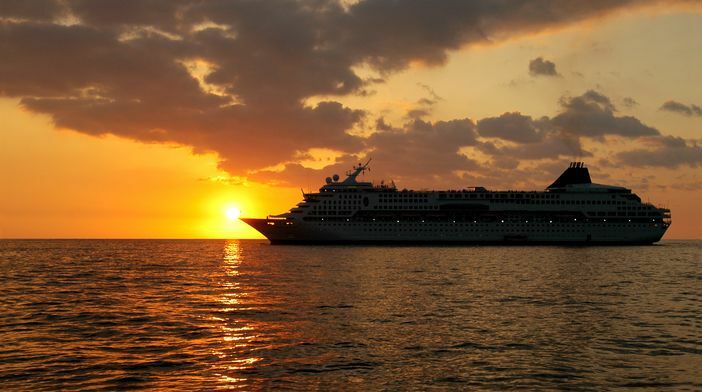 These cruises are exceptional, in that they are fashioned after the early cruises of the 20th century. During that time, fashionable passengers spent most of their time mingling onboard, making champagne toasts and lounging on their ship’s massive decks. You don’t want to miss this journey today, especially when you read the following reasons for taking such a cruise trip. Is there anything more romantic than to stay with your partner onboard a cruise ship crossing the Atlantic for an American getaway? Because of its few stopovers, a transatlantic crossing is only reserved for the most intrepid or idealistic of cruise travelers. Because you usually do not visit many, if any, ports of call, the main focus of your journey is the lifestyle on the ship. Therefore, many of the Westbound Transatlantic cruises from Europe to the USA trips are themed holidays. Cruise guests enjoy dancing to Big Band music or savouring wine and culinary masterpieces. You will revel in the fact that you can enjoy a number of classes or educational programs while on the ship. Transatlantic crossings allow guests to enjoy art classes and upgrade their computer skills. Because your goal is to relax, you can also spend additional time in the ship’s spa. If you are not out sightseeing during the day, then you can spend additional time visiting the entertainment venues on the ship. Not only do travelers get to see Broadway-type shows, but they can also visit a ship’s casino or enjoy dining and dancing in one of the vessel’s fine-dining establishments. A Transatlantic sailing trip can be taken anytime of the year, thanks to the number of cruise lines that offer the trip. For example, Cunard offers guests a 7-night holiday on the Queen Mary 2. If you join a themed cruise, you can enjoy dancing to swing music at night and get caught up in a time when fashionable people dined onboard and regularly enjoyed crossing the Atlantic after their European travels came to a close. Take yourself back to the early part of the 20th century, before the airplane, when only the wealthy could afford such a journey onboard. Not only can you travel from Europe on a transatlantic voyage, but you can also go eastward to Europe too. Set off from such departure ports in the U.S. as Boston, New York and even Miami, Florida. Some Caribbean ports are also departure points for transatlantic travel. Westbound trips return from such European cities as Barcelona, Spain or Southampton, England. Do you like adventure? Do you want to take a unique journey across the seas? If so, then you will want to take what was once referred to as the “Grand Voyage.” It is still quite a grand and fabulous voyage today.